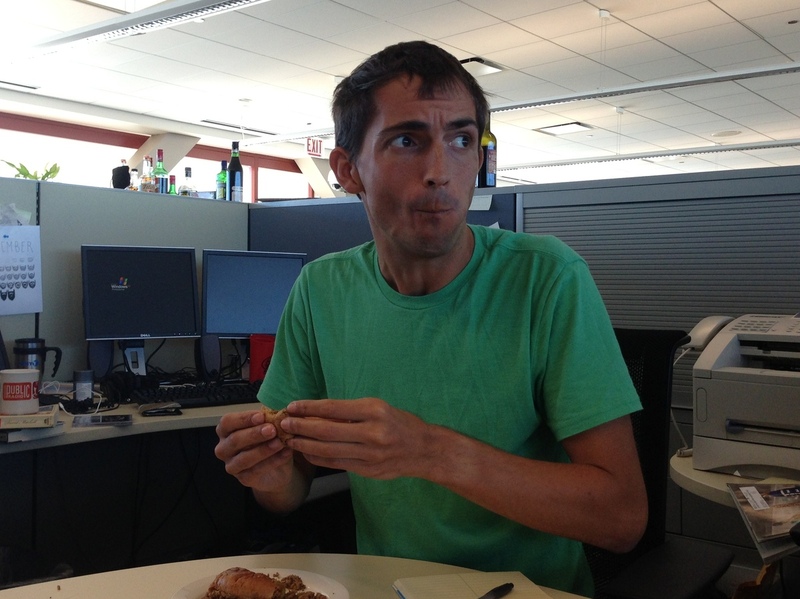 Sandwich Monday: Loose Meat Sandwich : Wait Wait ... Don't Tell Me! This week, we eat a sandwich that's like a burger, if the burger had exploded. Mmm. Meat pebbles. Beware Pickpockets and Loose Meat. 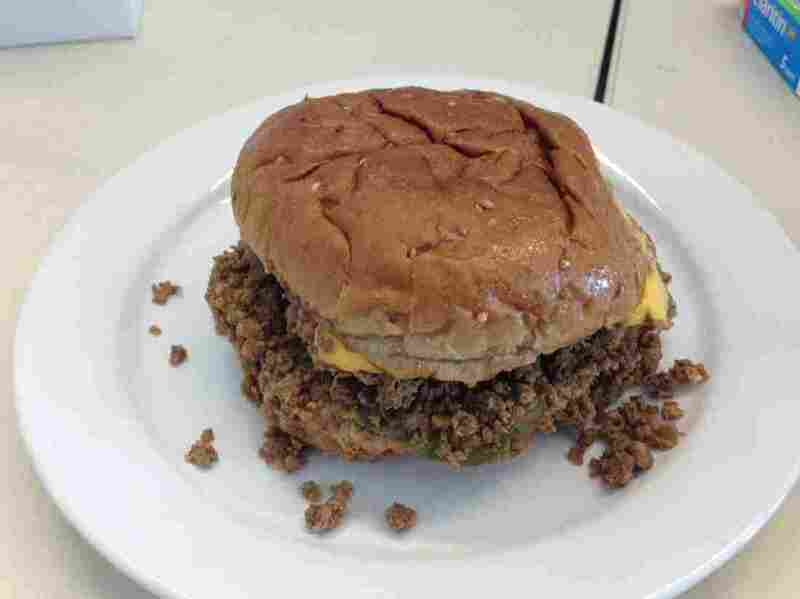 We've all encountered loose change, loose teeth, and certainly loose-fitting pants, but only a lucky few of us have encountered the Loose Meat Sandwich. 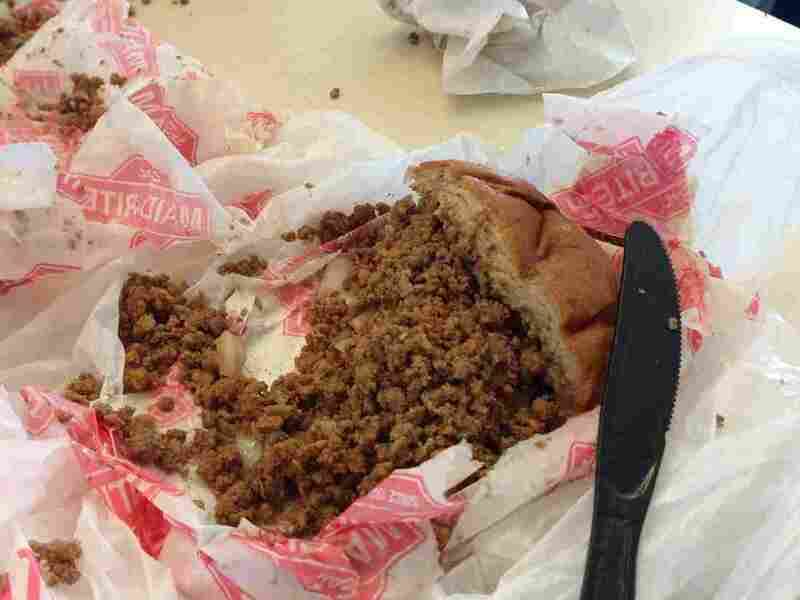 It's an Iowa classic that's basically like a hamburger, except the patty doesn't hold together at all. 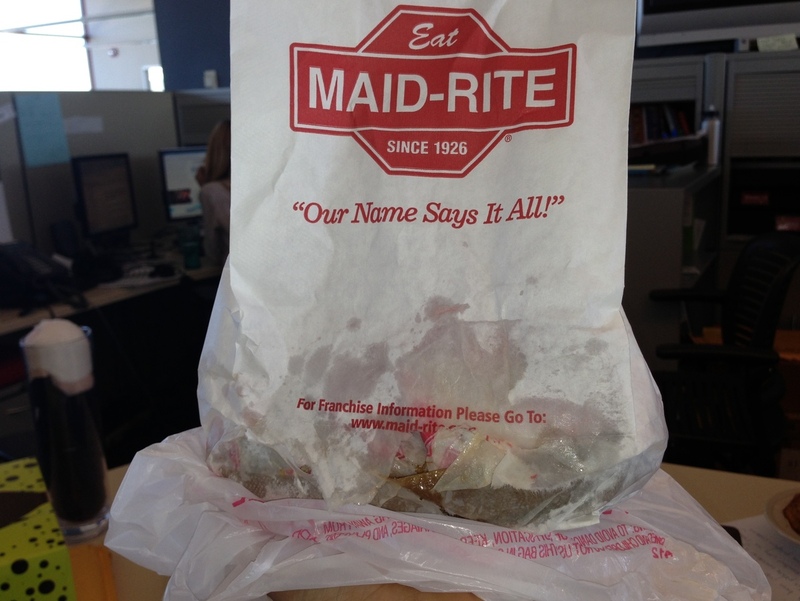 We picked up a couple from Maid-Rite here in Chicago. 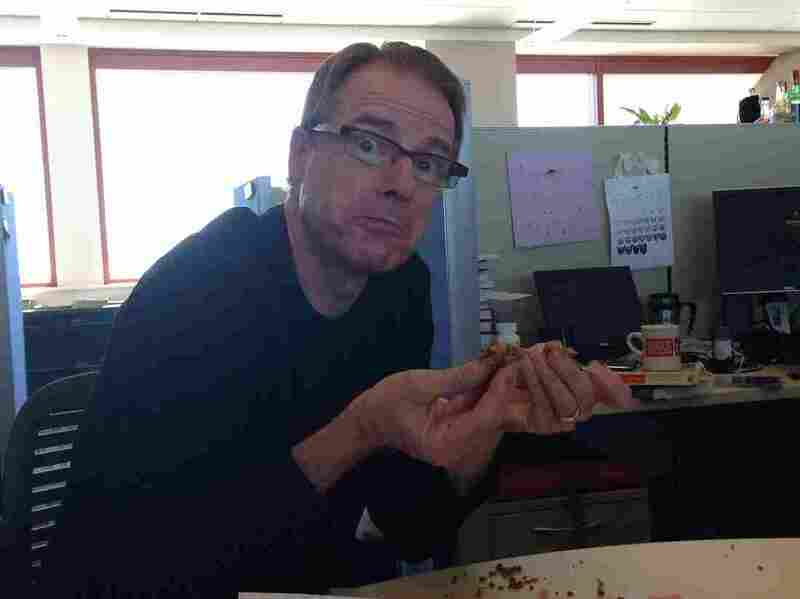 Mike: The meat pebbles make it so much easier to fatten up those hard to reach parts of the body. Leah: I think you have to have baleen to eat this properly. Ian: This reminds me of the short-lived Meat Grape-Nuts. Like a deer in the meatlights. Ian: I'm gonna wash this down with 200 molecules of hydrogen and 100 molecules of oxygen. Eva: I'd like a refund, because I specifically asked for a thousand tiny buns. Ian heard there was meat on the loose. Robert: I tried making these on my backyard grill. Man, what a disaster! Eva: I think I might be suffering from amnesia, because it looks like I already ate this sandwich. The paper bag could not contain all the healthy eating within. Ian: These are great if you have kids because if they wander off you can just follow their meat trail. Robert: The saying "loose lips sink ships" saved countless service men and women during World War II. I think "loose meat you best not eat" could save even more lives.